Stage 1: Eskom needs to shed 1000MW to keep the national grid stable. Stage 1 is the least disruptive of the schedules. Your area is likely to be hit by 2.5-hour blackouts once every second day**, Monday to Saturday between 05:30 and 21:00. Load shedding won’t take place overnight or on Sundays. **If you live in an Eskom-supplied area in Johannesburg, you’ll be in for a 4-hour cut once every 4 days. Stage 2: Eskom needs to shed 2000MW to keep the national grid stable. Stage 2 involves double the amount of load shedding planned in Stage 1. Your area is likely to be hit by 2.5-hour blackouts once a day, Monday to Saturday between 05:30 and 21:00. Load shedding won’t take place overnight or on Sundays. Stage 3: Eskom needs to shed up to 4000MW to keep the national grid stable. Stage 3 involves double the amount of load shedding planned in Stage 2. Your area is likely to be hit by 2.5-hour blackouts up to three times a day. The load shedding will take place 24 hours per day and will also happen on Sundays. Stage 4: Eskom needs to shed more than 4000MW to keep the national grid from collapsing. Power cuts are inconvenient and frustrating but compared to the worst case scenario that load shedding is designed to prevent, the rolling blackouts that we have to contend with are child’s play. 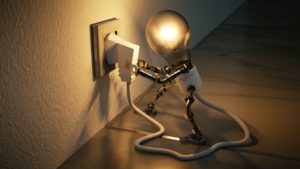 If load shedding fails to protect the national power grid, South Africa runs the risk of a complete national blackout. Eskom says the chances of this actually happening are exceptionally remote, but they are there. Plainly put, power cuts are a form of short-term pain that needs to be endured to prevent long-term disaster. The utility has been very careful so far to prevent the country from reaching this point of no return; load shedding is one of the tools being used to protect South Africa from a national blackout. If the national power grid were to collapse it could take at least one week – and as many as three – to get it back up and running, meaning that South Africans could be without power for a prolonged period of time. Other countries are able to rely on help from neighbouring nations and tap into their electricity systems in an emergency, but South Africa doesn’t have that option because its neighbours aren’t strong power providers. We import very little of our electricity. Eskom would have to restart its own power stations from scratch. This process is called a “black start” – when a power station can’t rely on an external electricity supply to get itself back up and running. Essentially it has to pull itself up by its own bootstraps. But one of the problems is that not all power stations in South Africa are equipped for a black start. In some cases a small in-house generator at a power station (usually diesel-operated) can be used to start larger generators, which can in turn get the station’s main generators back online. Once one station is back up and running, it can help provide the jump start that others need. Gradually, these power stations can be linked to form an interconnected system. But this process would take time, lots of time, because each island of power created by a black start would need to be synchronized and reconnected. In the meantime, South Africa would be in the dark. If a complete national blackout were to hit, it would have severe consequences. At the moment, when load shedding is implemented, facilities like hospitals, train networks and airports are spared; but in the worst case scenario Eskom would not have this option. Within hours or days, most UPS systems and backup generators would run out of juice. Hospitals would close, trains would not run and airports would shut down. Police and fire stations would be unable to function properly. Banks would be unable to operate. Cell phone towers would run out of power within hours so even if you had a charged handset, it’s unlikely that you’d be able to make calls. After a while, some water reservoirs would start running dry because there would be no power to pump water into them. Sewage systems would be hit as well; fuel pipelines (and eventually your car’s tank) would run dry. Sounds like an almost doomsday-like scenario, doesn’t it? That’s why Eskom is so dogged in implementing load shedding where necessary. So the next time you’re hit by a rolling blackout, it’s as well to remember that the alternative could be far, far worse. Go Solar. Install a solar geyser, get solar lamps to put outside in the garden and take inside when the lights are out. There is also a solar cellphone charger available. You can put it on your dash board while driving and if you get home and there’s no electricity, you can still charge your phone. Get gas. Gas stoves are becoming a popular choice for people who are building a new home or re-doing their kitchen. There’s also the portable option: you can buy a camping gas stove. This way you can cook food or boil the kettle even if there’s no electricity. Use empy plastic cool drink bottles and fill them with water and place in your deep freeze. If the power is out for a long time, you can take them out and put them in your fridge to keep food cold until the power comes back on. It also will create extra freezing in the deep freeze to keep your meats from thawing. Battery operated lights. You can get laterns, torches and other battery operated lights to keep around the house when the power goes off. It’s less dangerous than using just candles. Get a head torch or cap. Many of these are available at your local hardware store. You can strap the head torch around your head or get a cap with a fitted light so that you can walk around the house easily, without trying to make your way in the dark. Get a generator. Often this is the more expensive option, but depending on your needs and your budget, getting a generator may be a good idea. You can get ones that will keep the entire house powered or smaller ones to just keep the fridge running and perhaps the tv on. Make sure you have car chargers for your cell phone and iPad. This way you can always make sure your phone is charged while driving before you get to your destination and there’s no electricity.